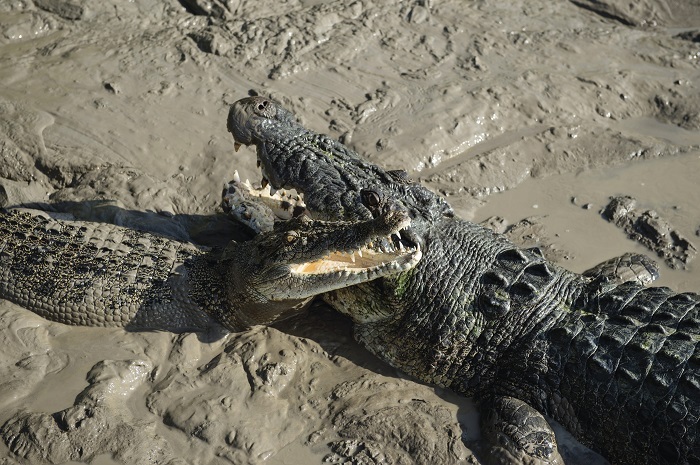 Get up close and personal with incredible crocs, one of Australia’s most majestic native creatures, on the Jumping Crocodiles Tour. Throughout the day, you’ll get to learn more about the habitat and behavior of these ancient animals, and see them frolicking in the wild. 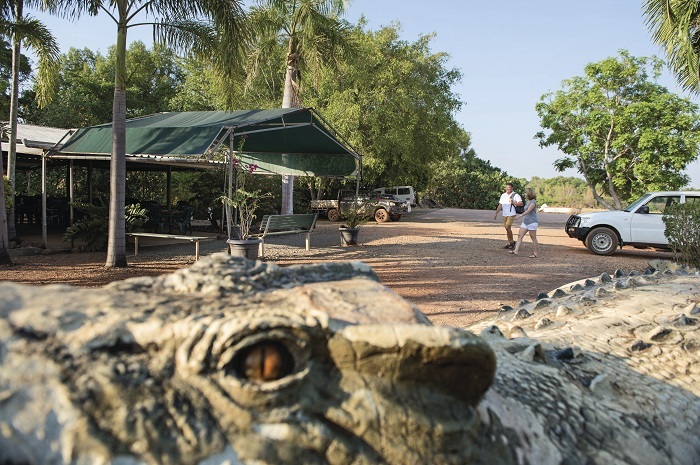 We’ll cruise down Adelaide River and visit some of the crocs’ favourite hangouts so you can dig deeper into their lifestyle and history. We’ll begin with a leisurely cruise along the Adelaide River, where your guide will give you an insight into the landscape and the majestic crocs. 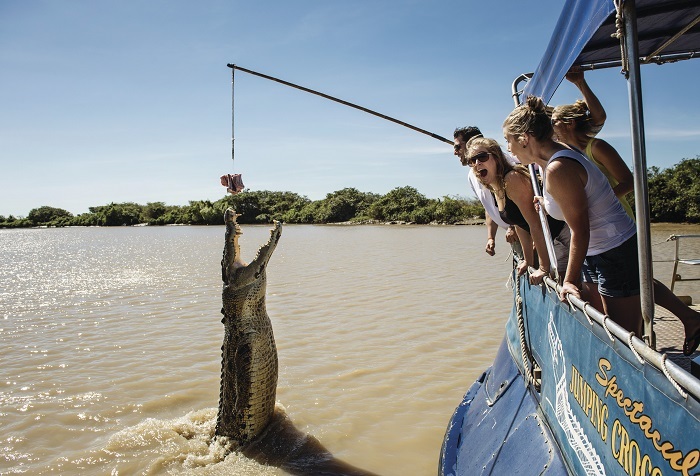 While there, you can catch a glimpse of some of the 1,600 crocodiles that call the River home and get close to the famous Jumping Crocodiles. All the while, we’ll tell you stories and fascinating facts about the residents of the river. Next, we’ll move on to the Wetlands Visitor Centre, where you can enjoy views across the breath-taking Marrakai Plains while learning even more about the prehistoric creatures. 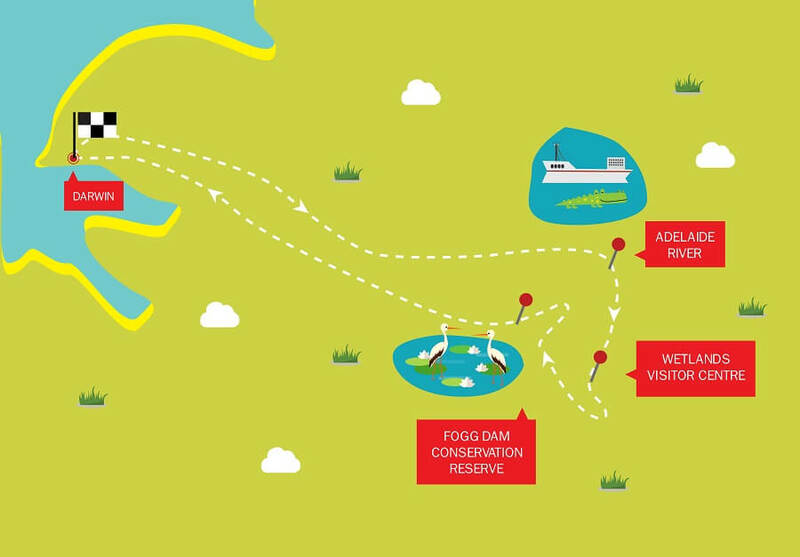 Finally, we’ll head to Fogg Dam Conservation Reserve, where you can view a real-life wetland ecosystem up close. As well as crocs, you can view colourful birds and other native wildlife in the region, as well as discover a range of different Australian landscapes, including eucalyptus forests, melaleuca woodland, and open water ranges. 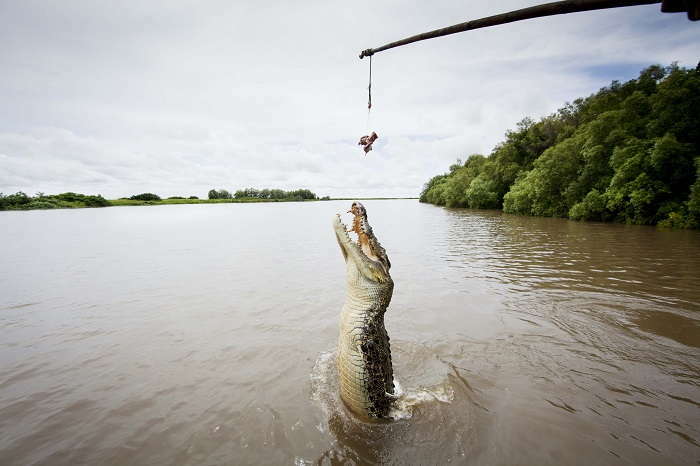 We’ll then travel back to Darwin where your day of crocodile hunting and wildlife watching unfortunately comes to an end.